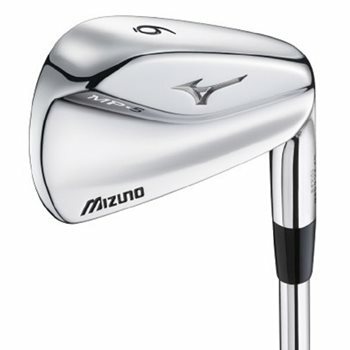 The Mizuno MP-5 iron set is the ultimate blend of a classic muscle back and a players cavity design. The new Channel Back design is a way of distributing the weight around the club head to allow for increased forgiveness while still maintaining feel and look of a traditional muscle back. The MP-5 is grain flow forged from a single billet of 1025E Pure Select Mild Carbon steel for a soft, solid and consistent feel. Mizuno uses its scientific Harmonic Impact Technology (H.I.T.) to fine tune the sound and feel of every iron. Is it possible to get some actual pictures?? Can I still get these clubs at the discount rate? Let me get this right...You can't show pictures of the actual product, you can't tell us what kind of shaft is in it, and they're 3/4" over standard length...and you still want $500 for a used set that's not even full (3-PW)?